A power trio rooted in the basic tenets of rock, Jackie and The Treehorns create music from just outside the nation’s capital in Alexandria, VA and just outside the mainstream. Formed in 2009 and fronted by Steven Rubin under the guise of an altered ego (Jackie) and his band (The Treehorns) the group fight to keep the flames of the rock and/or roll fire lit with inspired original inventiveness. Jackie and The Treehorns’ music covers a wide sonic palate, taking the listener down familiar paths before detouring towards parts unknown, while Jackie’s lyrics explore topics ranging from celebrity stalkers, serial killers, and hitchhikers to odd phenomena like UFO’s, déjà vu, ghosts, and extraterrestrial party favors. Choosing to work with only the best, the band has consistently recorded at the fabled Inner Ear Studios in Arlington, VA. For their most recent releases, The J. Album (2018), singles Writer and A World Gone Mad (2017), RU4REAL? (2016), and Do You Mind If I Wear A Clown Mask? (2015) the band saw no other choice but to team with legendary engineer Don Zientara. 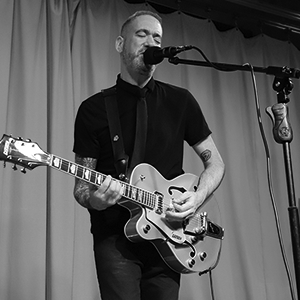 Steven is a Washington, DC-area musician, producer, filmmaker, and songwriter that has played in numerous bands and projects over the past 30+ years including Girl Loves Distortion, The Circle Six, and The Corvids. In 2013 Steven teamed up with a fellow independent film-maker to create The Worthy Brothers who went on to release “The Jackie Movie” to a sold-out crowd at DC’s E Street Cinema. He is also a contributor to the music/culture blog Bums Logic. 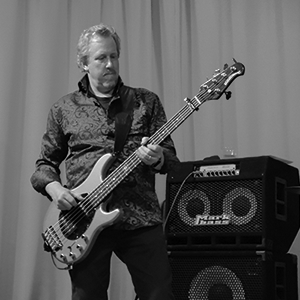 Bassist Pat Kehs has been playing in the deep end of the Washington, DC music scene for a couple of decades. In addition to the Treehorns, Pat is currently producing and playing bass in the original alt-country rock band BoxCartel. Heavily influenced by the progressive rock and jamband genres, Pat’s focus is on creating melodic and memorable bass lines that elevate the music and keeps the audience grooving. 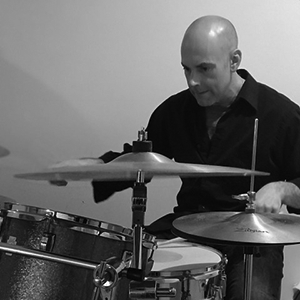 Drummer Brian Gibson is a Washington, D.C. area native who has been playing in the local jazz, rock, and musical theater circuits for over 20 years. His previous musical endeavors include The Perfect Souvenir, Rancho Notorious, and Memories from the Space Age. He has also been a percussionist for a number of D.C. theater productions, including Passing Strange and Blood Bloody Andrew Jackson at the Studio Theater and Anything Goes and Godspell at the Olney Theatre Center. Former Treehorns: Kirk Reid, Austin Madert, Chris Martin, Zack Downes, Amit Chatterjie, Frank Caputo, and Eric Co.